The project “Echos. The Post Bus of Time” is one of the ten winners of the Pro Helvetia call in the framework of 2008 “echos – cultura popolare per domani” (echos – popular culture for tomorrow); it aims to preserve and pass down local traditions – folk customs, legends, rituals, songs, food – in 5 villages in Ticino. The project uses the languages of visual art, theatre and rituals, it promotes the relationship between children and elderly people and creates occasions for the whole community to celebrate. 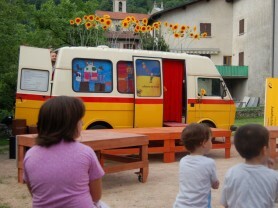 The symbol of the project is a traditional yellow Swiss post bus which can be turned into a theatre stage. 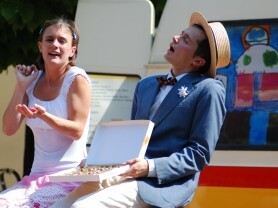 Theatre and storytelling, music and installations are the key elements of the project “Echos. The Post Bus of Time” to discover the local traditions and involve the community in a cultural itinerary. The project roots in anthropological theatre and in the experience of art as an occasion of releasing and renewing the creative energy of a community. Things to know. The yellow post bus is a tradition of Switzerland. In the 50s, the small towns of Ticino, which were almost isolated, were connected by the yellow post bus. The post bus carried people, letters and parcels. It took children to school and adults to their job places; it represented a strong way of connection, also from a narrative point of view, for a community which was made vulnerable and separated by actual geographical difficulties. 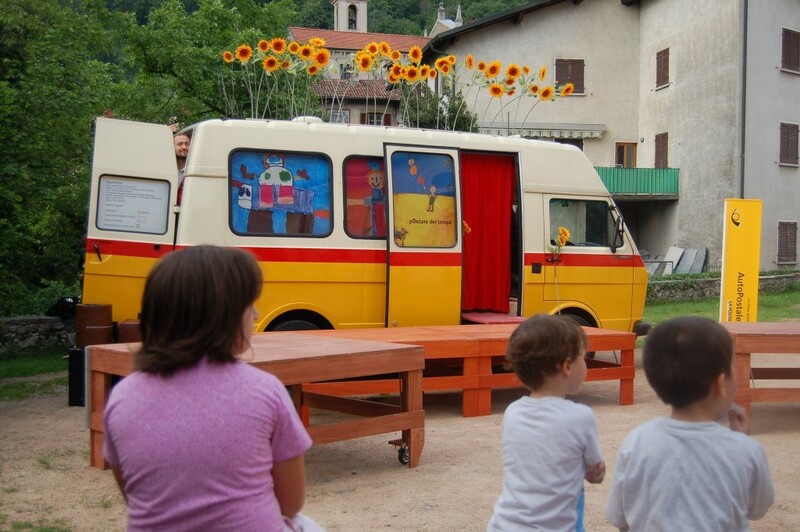 The post bus made children, elderly people and whole communities of Ticino meet each other. The methodology. 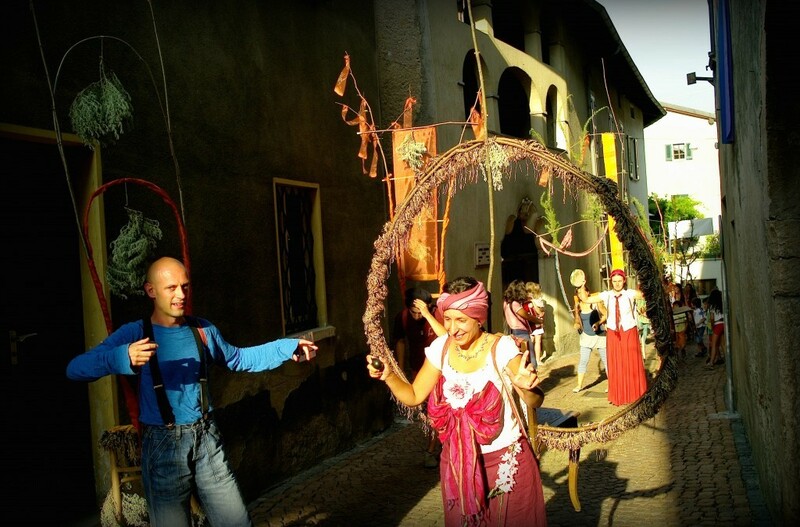 The methodology is composed of a theatrical storytelling process with the active participation of the communities and the involvement of a mixed group of actors from the Ticino area and Italy. 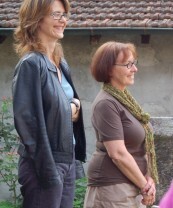 From the point of view of dramaturgy and community storytelling, the work of composition includes the use of interviews to local witnesses as well as of traditional objects, children’s drawings, old and modern nursery rhymes, songs, oral legends, interviews by the children to their grandparents or to the elderly of the village, photos, industrial artifacts, shop signs and much more. This work makes traditions and customs – which create the historical memory of these places – meet the time of the children and adults of today. In this perspective, this work merges tradition, memories and innovation. The Theatre Post Bus. 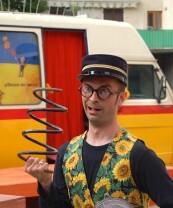 The post bus used was turned into a sort of itinerant “theatre ecomuseum” by the set designer Maurizio Agostinetto. 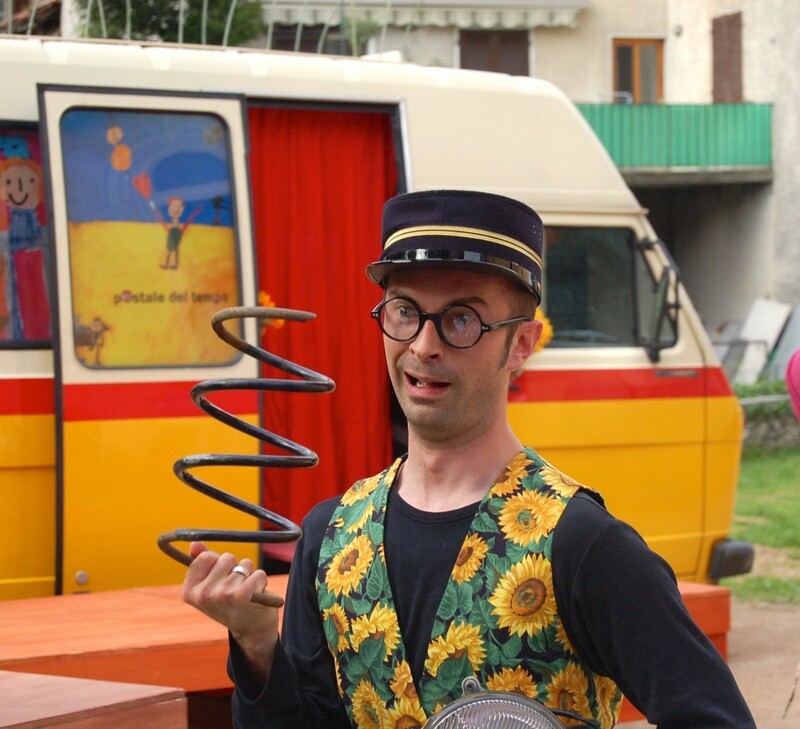 Thanks to special modular platforms, the Post Bus turns into a stage of Commedia dell’Arte; numerous objects and artifacts connected to the stories and traditions and to the performance itself – puppets, crowns, dresses, musical instruments, work tools and everyday objects – are collected, catalogued and displayed in cases. The community Workshops with the schools. The work of preserving memories, objects and customs of the local tradition is carried out through workshops organised in the primary schools of Ticino. Since September 2007, the pupils of 5 branches of primary schools and pre-schools – and their teachers – have worked together in search of the local popular culture by collecting interviews, nursery rhymes, songs, objects, photos and stories. The performance and the tour. 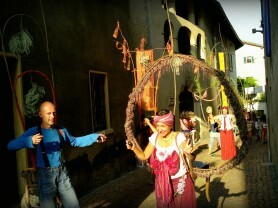 The material was given to the artists during the first barter-meeting, in January-February 2008, and represented the basis for the script and the set design of the performance “The Post Bus of Time”. 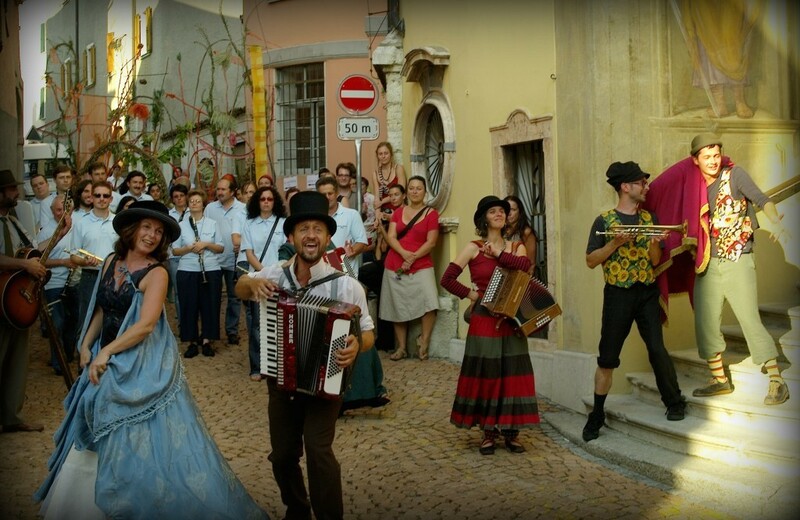 The performance, valorising the theme of journey and itinerant performing, stages traditional stories through the storytelling of 5 “itinerant guitti actors” during a tableau performance with a quick rhythm and a strong component of visual action and actor composition. 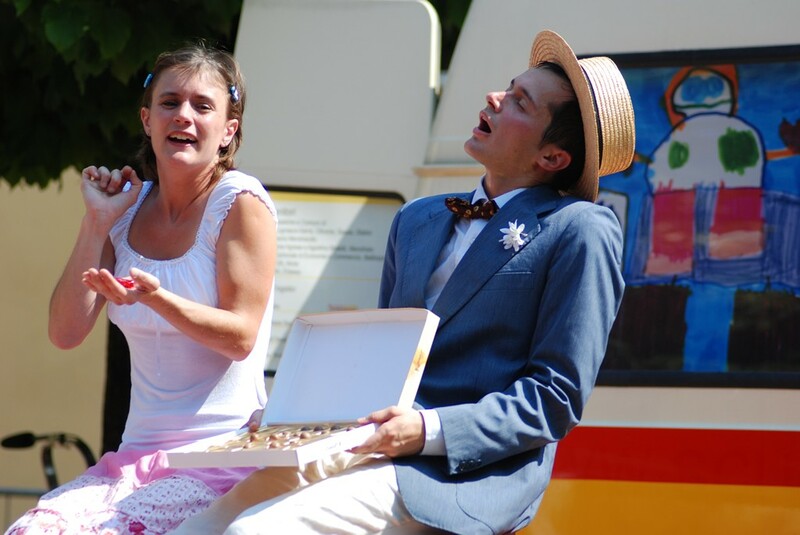 From 28th May to 4th June, the Post Bus of Time, in its form of itinerant stage, returned to the areas of the workshops to perform in front of the schools involved in the process, the witnesses and the whole local community. 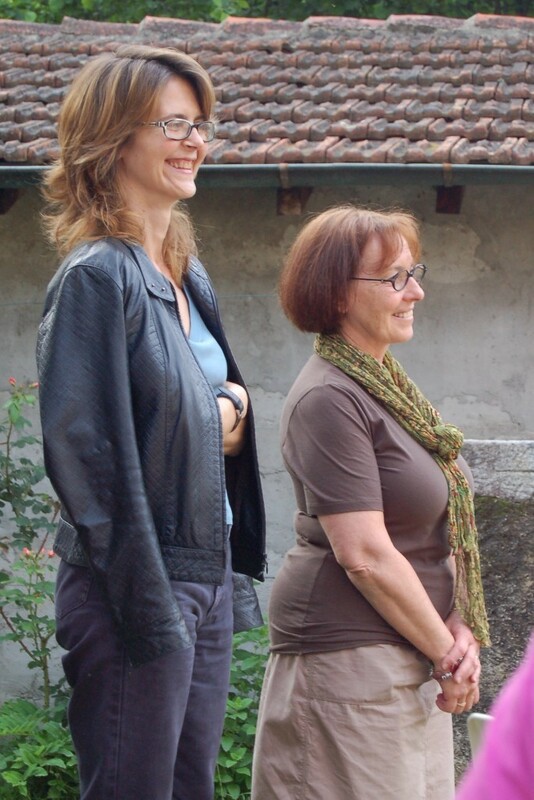 The Post Bus of Time did a tour in the villages of Ambrì, Cugnasco-Gerra Verzasca, Olivone, Sessa and Stabio. The Post Bus tour ended with two special stops: one at the Festival Internazionale di Narrazione in Arzo, and the other at the Festival “echos” of Pro Helvetia. The educational DVD. After the intervention and the repeats of the performance, the project released a DVD for educational use, addressed to the primary schools of Ticino. The DVD contains video recording of the entire performance and special contents collected during the journey of the Post Bus of Time. Partners. Teatro Popolare Europeo, Festival Internazionale di Narrazione in Arzo; Master in Social and Community Theatre | University of Turin; Fondazione svizzera per la cultura Pro Helvetia (prize “echos-cultura popolare per domani”); Luminaudio SA Hotel Piacere Serpiano, Meride Centro I Grappoli, Sessa Ristorante Torchio Antico. Sponsors. 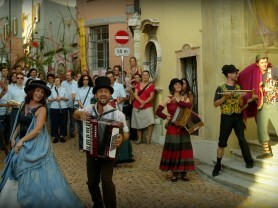 AutoPostale (Switzerland) SA – official sponsor Coop Cultura DECS Divisione Cultura – swisslos Fondazione Doron (Schweizerische Stiftung für den Doron Preis), Fondazione Agnese e Agostino Maletti, Mendrisio Istituto Cantonale di Economia e Commercio, Bellinzona Club Kiwanis Mendrisiotto Tenconi SA Trecor SA. Promoters Associazione Giullari di Gulliver; municipalities and school branches of: Ambrì, Olivone, Cugnasco, Sessa, Stabio and Centro scolastico Lattecaldo.